Windows cloud server hosting is done to feel and look similar to a physical dedicated server hosting. Cloud hosting requires comparatively lower costs and provides increased efficiency and scale major resources like memory, CPU and storage. Windows cloud server also provides automatic failover so that users do not have to worry about availability again. For unique cases where both dedicated and cloud server hosting is required, the cloud integrates effortlessly to create a true hybrid configuration. With Windows 2008 cloud servers you would have to worry about issues like security and uptime. 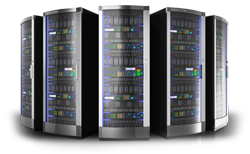 We offers all servers with high quality configuration and features at no extra cost.! The best part about Windows cloud server is its great configurability. It also has good performance and better security. The Windows cloud server has a simple and known graphical user interface and by making use of RDP client, it becomes easy for Windows server authentication mechanism to login to the server at any time. There won't be any need of additional software that should be installed on your computer. Generally, in this hosting framework, several web servers are connected and interrelated in a big network and thereby give the necessary computing functionality. The main benefits of Windows cloud server include availability and scalability, faster performance, and a secure platform. What Windows operating systems do we offers? We fully support Windows server 2012, Windows 7 and 8, Windows server 2003 and Windows server 2008 R2 on all of our cloud servers to power the next generation of web services and network applications. Creating a new windows cloud hosting server is as simple as selecting the installation that you desire. With the help of our pre-installed cloud hosting server systems, the Windows server is instantly available for use after its deployment in our cloud computing account. What are the major features of Windows cloud servers? Our Windows cloud hosting solutions are built on the Dell PowerEdge chassis with inclusion of the latest Intel Xeon processors for ensuring best in class efficiency. With the help of Windows cloud platform you can set up your database on a highly flexible and scalable infrastructure that ensure your server keeps performing efficiently as you grow. What are the benefits of Windows cloud servers? Unlimited bandwidth is provided to tackle unusual spike in traffic of your site. Cloud servers are equipped with resources that are readily available to handle the load. Secure and reliable data recovery and protection are also provided. Full system daily back ups are guaranteed by us. Our Windows cloud server hosting package includes one static IP address. Virus signatures are also updated on a daily basis to provide the most up-dated virus protection to your system. What we have to offer? Why Choose us for Cloud Server Hosting? We provide various cloud hosting servers of different sizes to our customers. Windows cloud servers pricing offered by us are unmatchable. The plans that we have to offer enable you to support all kinds of ecommerce portal and online business. We have popular schemes of cheap Windows cloud server hosting plans to fulfil your requirements and these are easily customisable. We also provide efficient technical staffs who are always present to monitor the system.